Beginning in March, Minneapolis Metro Transit’s light rail station near the new home of the Minnesota Vikings will be known as U.S. Bank Stadium Station. The station, which serves both the Metro Blue and Green Lines and has been known as Downtown East / Metrodome Station, served as a connection for more than 1.3 million rides in 2015. 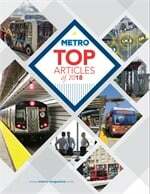 Signs, maps and pocket schedules throughout Metro Transit’s system, including the organization’s websites, will reflect the change next month. Audio announcements will also be updated with the name U.S. Bank Stadium Station. 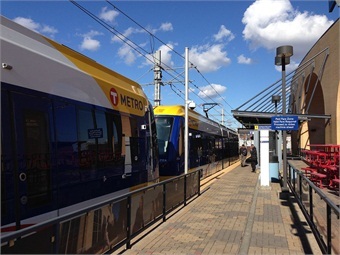 As part of the naming agreement with the Minnesota Vikings and the Minnesota Sports Facilities Authority, Metro Transit will receive $300,000 in annual in-stadium promotions, print and radio advertising, and direct marketing support to encourage transit ridership to Stadium events. "We appreciate Metro Transit's decision to recognize a landmark that is, without a doubt, reshaping this part of downtown Minneapolis," said Vikings Owner/President Mark Wilf. "Knowing a large number of Vikings fans and stadium users will arrive via light rail, naming this 'U.S. Bank Stadium Station' is both appropriate and practical."